Volunteerism is an essential element of vibrant communities. People who give freely of their time, talent, and resources develop a commitment to the place they call home. In the process, they actively think about the concerns of others, developing the empathy that leads to sustainable problem-solving. Corning Incorporated employees have been actively involved as community volunteers for as long as anyone can remember. The corporation’s tendency to locate in smaller cities and towns, especially in U.S. locations, encourages this hometown spirit. Work colleagues are also neighbors and friends, with daily experiences drawn from the same community resources. 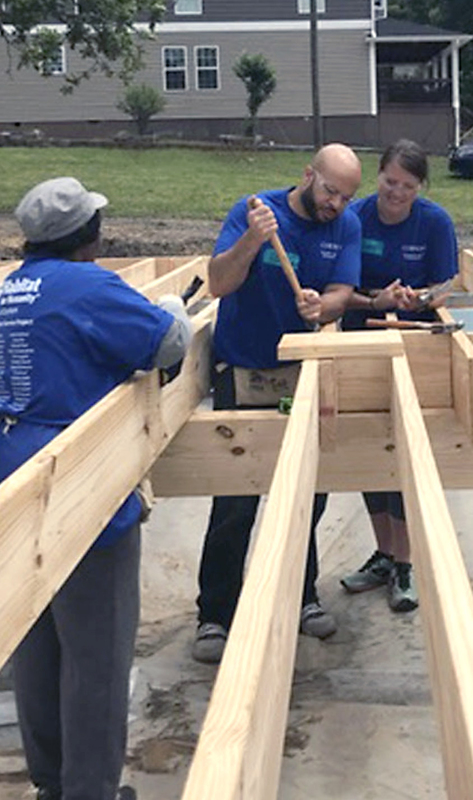 Volunteerism also echoes the collaborative nature of the corporation’s work – where tough technical and manufacturing challenges require everyone to play a part. Employees use the same approach in their communities. New ways of overcoming problems, continuous improvement, and shared responsibility create benefits for everyone.